Full-service rental and leasing where we take care of ALL maintenance. Shared maintenance where you decide how much you want us to handle. Net/net maintenance allows you to take care of trailer maintenance, but use our resources as needed. Contract maintenance on your trailers, whether owned or leased. Customized modification of trailers (internal and external). Road-side assistance (24 Hours, 7 Days). Mobile tire and service trucks. Full-service maintenance facilities at all locations. 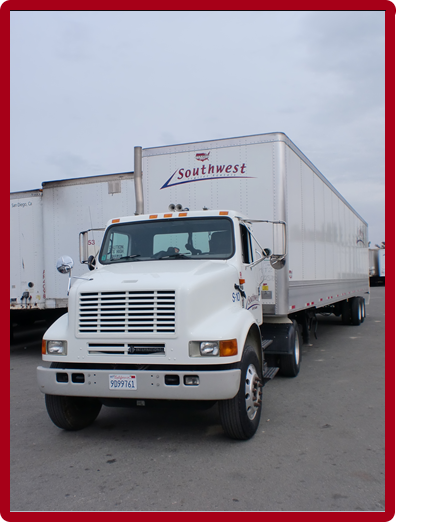 Timely, cost efficient trailer pickup & delivery via our tractors and drivers. Expert trailer technicians on staff. Time & material work performed. Customized programs to meet your needs. Full Service. Full Capability. Common Sense. © Southwest Assets Management Corp. 2004 All rights reserved. Which is more cost effective for you, spring or air-ride?